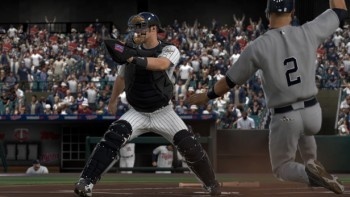 Sony is donating $10 from every purchased copy of MLB 10: The Show to help fund cancer research, giving baseball fans a chance to get their game on and help out a worthy cause at the same time. Beginning June 13, $10 from every copy of MLB 10: The Show sold will be given to Stand Up To Cancer, a group that funds innovative research into cancer with the aim of getting new, effective treatments to patients as quickly as possible. The program, created in conjunction with Major League Baseball, runs until July 10. A charitable program of the Entertainment Industry Foundation, Stand Up To Cancer offers grants to "scientific dream teams" which focus on specific types of cancers in an effort to develop new, "personalized" methods of treatment. Other research grants are aimed at "cutting-edge cancer research with strong potential to impact patient care within a short timeframe - projects that are high-risk but could also be high-impact." Major League Baseball made a start-up donation of $10 million to SU2C when it launched and the group has raised more than $100 million for cancer research since. Philanthropy aside, MLB 10: The Show looks like a pretty solid game, putting together a Metacritic score of 91 since its debut in March. It's not often that you have a chance to do a good thing while you're sitting on your couch playing videogames, so if you're a baseball fan and a PS3 owner, now's the time to step up to the plate.